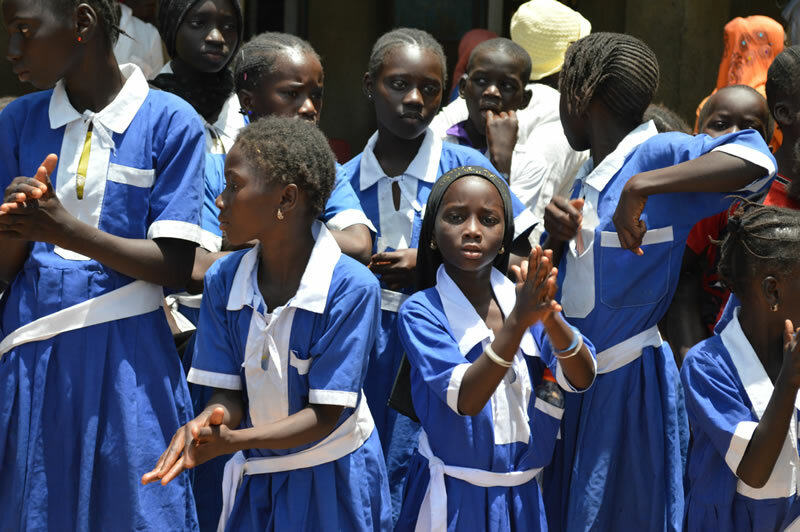 Since 2014 Project Gambia has supported a school located in a very poor village called Madiana. Since that time we have refurbished classrooms and provided much needed school resources and equipment. In March 2105 we were saddened to see that the nursery children were being taught in a classroom that consisted of corrugated sheet walls and a roof made of branches. Fifty children were being taught in a very small space with no tables or chairs and small pieces of wood to write on. 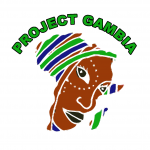 In November 2015 Project Gambia shipped out 150 tables and 300 chairs to the school along with boxes and boxes of school resources. When we visited in April 2016 it was fantastic to see the tables and chairs in the classrooms making such a difference to the education of the children there. School resources are also sent on a regular basis. The village at Madiana is a very poor community struggling to survive. During our visit in 2016 the villagers explained to us how they were struggling to feed their families as they had no land to farm to grow crops. During the next 12 months with funding from Project Gambia 4 areas of land were fenced off. Three of them are now working market gardens. 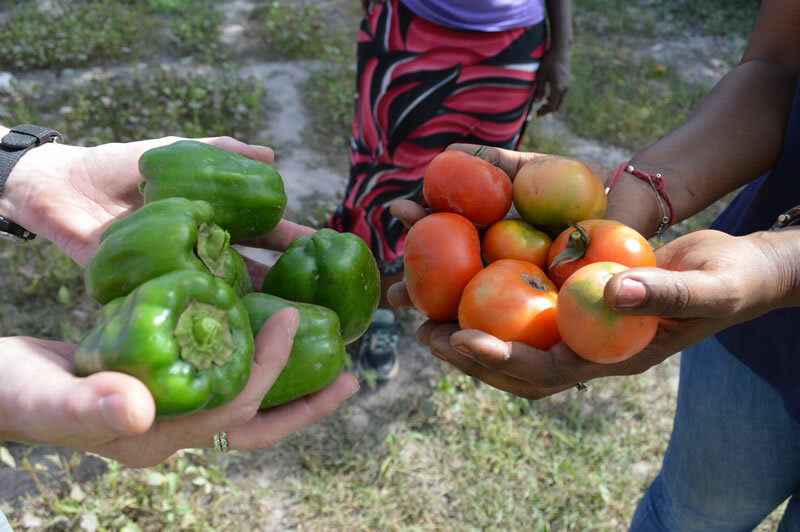 A variety of vegetables and fruit are being grown including onions, bananas, sorrel and tomatoes. One of these gardens is being farmed by a 78 year old woman from Mali whose husband is blind. One of the others is farmed by two widowers who, without the garden would not have enough food. The market gardens not only provide food for the local community but also provides vegetables and herbs they cans ell at the market and earn money to pay for their children to attend school. The School at Madiana has nearly 800 students but only 8 classrooms. This means that some of the students attend in the morning and some in the afternoon. There can also be up to 60 students in one class. Project Gambia is aiming to raise £15000 to build a new classroom block.